Last month I published a series of posts on various small travel coffee mugs. In the sub-12 ounce group of insulated tumblers there isn’t a lot of options available but in the 20+ ounce area there are actually a lot of options. Pickin’s only start slimming out when you get over 24-30 ounces and event then there is a lot of options available to you if you are willing to use a thermal bottle. This month I wanted to start looking at some of the larger travel mugs. For this post and the following posts I’ll be focusing only on my favorites and the better mugs available because there’s enough options out there to do so but as I get into the much larger sizes I’ll give my thoughts on all the main options available simply due to the fact that there is less options to choose from. and they should be comfortable to drink from. I don’t tend to put a huge amount of value in things like mugs being leak-proof, or microwave safe, etc. but I know some people are looking for these things specifically so I will note these features for those who care. So without further ado let me list some of the best 20 ounce travel mugs out there. In almost all cases those on this list I like a lot, some for different reasons than others. I hope this list helps. 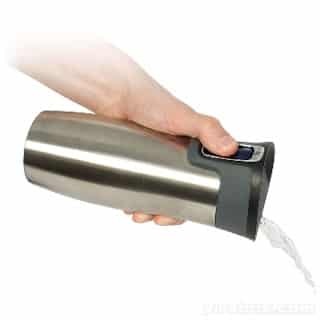 For driving around or traveling a tumbler is the way to go. They take up less space, fit in cup holders better, and they store easily while not in use. Here are my favorites with commentary. This is probably the best travel mug / tumbler made today. 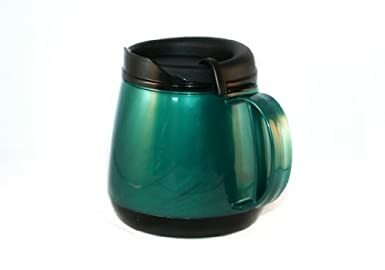 It is the largest one made by Contigo and it not only is leak-proof and spill proof due to it’s ingenious lid design but it is also capable of keeping your drink hot for the better part of an entire day. 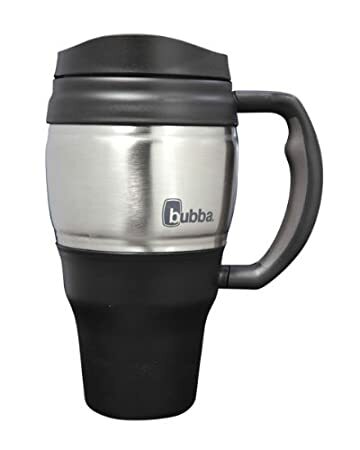 Reportedly the best travel mug of all by hundreds of reviewers over on Amazon this is easily the best mug in the 20-oz category and one of the best mugs made of all types and kinds. For use around the home or in the office I much prefer mugs with handles. I find it much more comfortable to use a mug with a handle when I don’t need to worry about the size of the mug or the shape of it. Here are my favorites in this category. 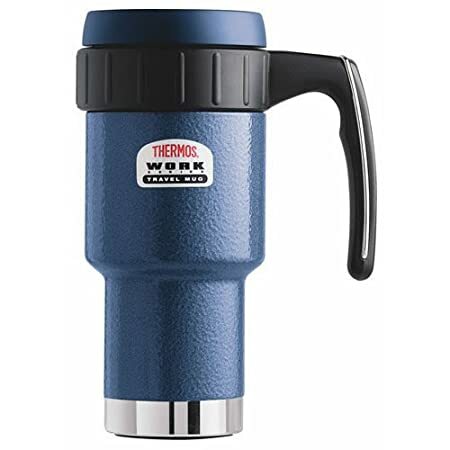 I am almost always partial to the Thermos brand and in the 20oz travel mug category the Work Series travel mug with handle by Thermos is a winner. 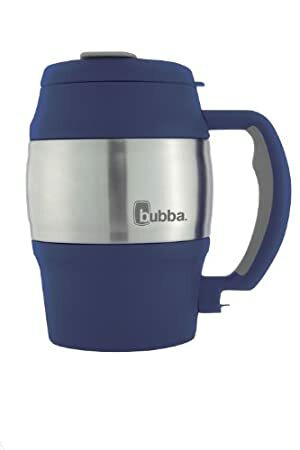 It’s not going to keep drinks hot for quite as long as the Stainless King mugs or the Contigo Autoseal mugs but they are priced accordingly and will still keep your coffee hot for hours at a time. The difference is a double wall stainless steel exterior with foam insulation between the walls rather than an airless vacuum. Some might not care for the look of this mug but I find it very attractive and it’s as durable as they come. At a price that’s significantly lower than the best of the best this mug is worth it in my opinion. In addition to the aforementioned coffee mugs there are a number of excellent alternatives that come in different styles and are priced differently. They are all good options that will work well for the avid coffee drinker. This page is now a part of my series on large travel mugs. You can see all the large travel mugs here or the entire store of insulated travel mugs here. A little luxury goes a long way. That’s how I think when it comes to buying a travel mug. I have come to this conclusion after several trials, buying different mugs with different aims. At first, I just wanted a travel mug. I did not think about features whatsoever. I just wanted one. I ended up buying a new mug after a month. On the second attempt, I thought about buying a durable one. I ventured into stainless steel. After about two weeks, I needed to get a new one. The steel was too heavy and It’s not as insulated as I thought. It was hot to hold. That was frustrating to say the least. I realized that even with this simple purchase, I need to do some homework. If you are planning to buy a travel mug, here are some guide to help you choose. Before you make that purchase, check out these important information about travel mugs. Size. Yes, size matters. It will define your need for a travel mug. There are so many fancy stuff out there. But if you choose the right size to begin with, you can easily narrow down your choices. Travel mugs come in 8 oz single serve types up to 50 oz models. Insulation. You want a travel mug because you want your coffee to be hot for hours. Good insulation is key. You want something that keeps your coffee hot but does not heat up when you hold it. Looking for a double wall vacuum technology mug, this can easily reduce your choices into 3 to 4 brands that offer excellent heat management. Leak-proof/spill-proof. Travel mugs are meant to be used on the road. 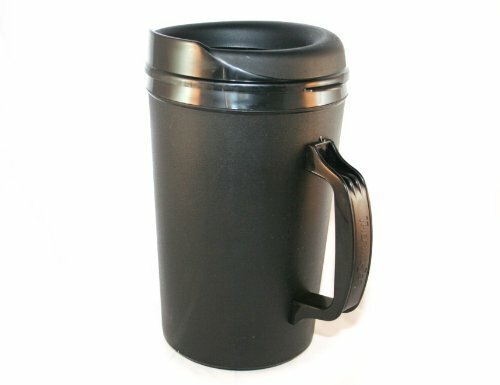 Whether you are driving, commuting or simply at your desk in the office, you need a travel mug that is not messy to use. Plus, bumps and falls are inevitable. You don’t want coffee spilling on you or on your desk. Durability. Invest on a durable mug ,one that will last for at least a year. This means getting a high grade, durable stainless steel body that can endure every day commute. Value for money. Look for a travel mug that gives you more value. It does not mean get the cheapest nor the most expensive. Rather, keep a working budget and you will surely find the perfect travel mug. Now, what if you are keen on buying a 20 oz travel mug. What are your options? 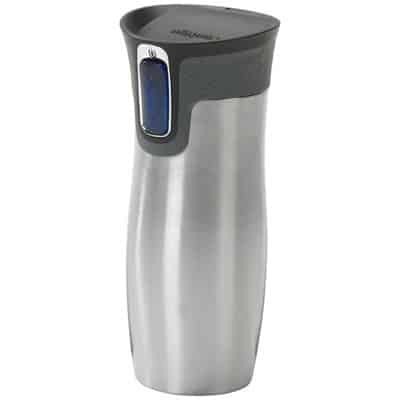 This is a sturdy and durable travel mug, from a renowned home and kitchen appliance brand. This classic travel mug is simple but hardworking. It can hold hot drinks up to 9 hours. It is made up of quality stainless steel with good insulation, perfect for one hand usability. This automatic travel mug is beautiful, modern and efficient. 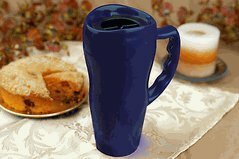 It can hold hot drinks for up to 7 hours. It is easy to clean and perfect for every day use. This is popular among athletes, particularly cyclists. It is very durable, spill proof and easy to use. KeepCup is changing the way we look at glass travel mugs. It has sleek design and cork grip for easy and safe handling. 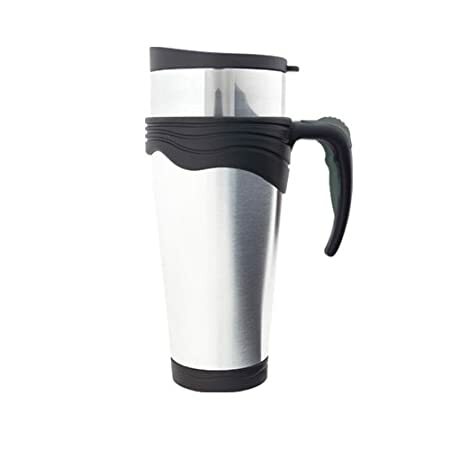 This is an elegant, reliable and durable travel mug. It has an excellent insulation technology to support even long travel time. Wide lid opening for easy sharing. It is a perfect gift for travelers and coffee drinkers on the go. Here are important reminders to keep your travel mugs in tiptop shape. Clean it after every use. Do not let it sit with used coffee. It will cause stain, mold and mildew plus the dreaded stale coffee smell. Follow manufacturer’s instruction. This will help extend the life of your travel mug. Some mugs are for hand wash only because some parts need manual cleaning and some painted exterior can easily wear off in a dishwasher. Have it undergo deep cleaning every two weeks. You can use baking soda or vinegar to remove build up in the lid. This is especially true for push button mugs because some gears and curves can accumulate calcified minerals from hard water.